Travel Is This LA's Most Glamorous Hotel? Is This LA's Most Glamorous Hotel? 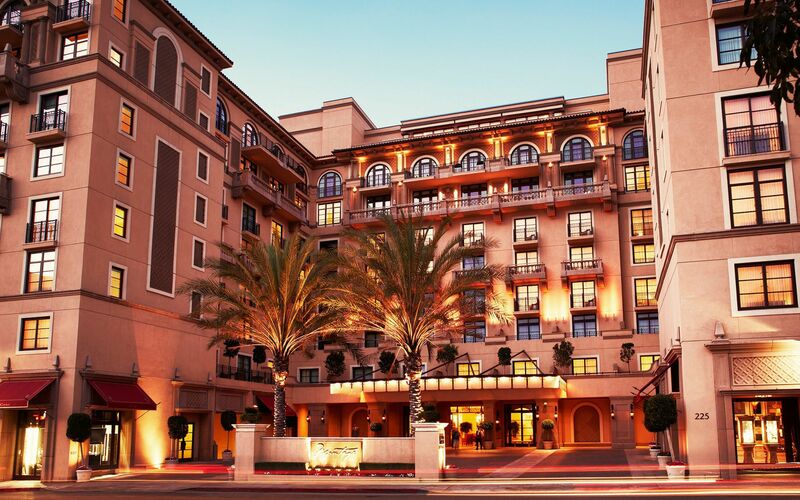 Hollywood is known for its glitz and glamour, and the Montage Beverly Hills is all that you'd expect and more. 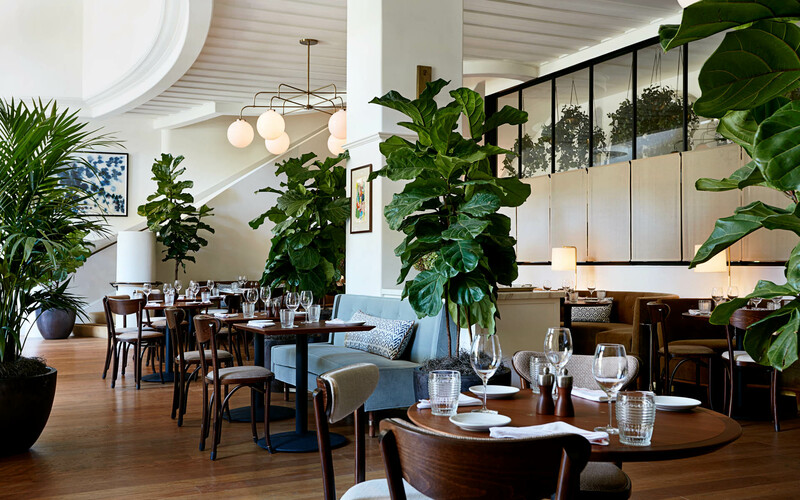 The 90210 hotel is part of Montage Hotels & Resorts—an ultra-luxury hotel and resort management company with properties in Beverly Hills, Laguna Beach and Hawaii—that's maintained its reputation for being LA’s most luxurious hotel since its opening. The Rolls-Royce house car, Moroccan-style mineral spa and not one, but two private hotel arrival areas for VIP check-ins are just a few signs that this hotel was designed for the world’s ultra-elite. Located right in the middle of 90210, just one block away from the famed, palm-tree lined Rodeo Drive, the hotel takes up prime real estate that’s equidistant from Santa Monica, downtown LA and West Hollywood. The area is known as the Golden Triangle, which extends from Wilshire Boulevard all the way to Santa Monica Boulevard, and getting to LAX and Long Beach airport takes just 30 and 60 minutes respectively. Outside the hotel’s West entrance are the beautifully landscaped Beverly Canon Gardens, a wonderful spot for coffee chats and people-watching, while fitness buffs will be happy to know that Whole Foods and SoulCycle are within a few minutes' walk. Tatler tip: Don’t miss the world-famous Sprinkles cupcake vending machine on Santa Monica Boulevard, an easy 10-minute walk from the hotel. 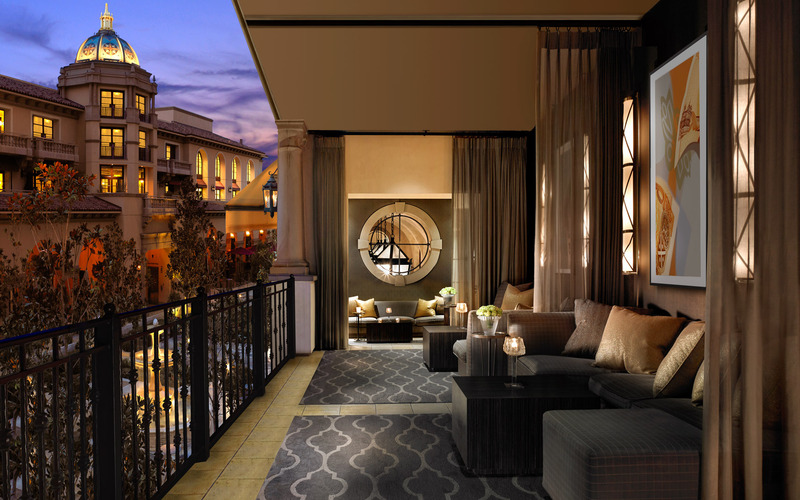 Vintage meets modern elegance—the Montage Beverly Hills features Spanish revival architecture that harkens back to the days of 1930s Hollywood. With a total of 201 guest rooms (including 55 suites) in classic shades of beige and gold, luxe details include marble countertops with dual sinks, mosaic tiled oversized tubs, plush 500-thread Fili D’oro bedding, monogrammed pillows and in-room tablets to control the drapes and lighting. 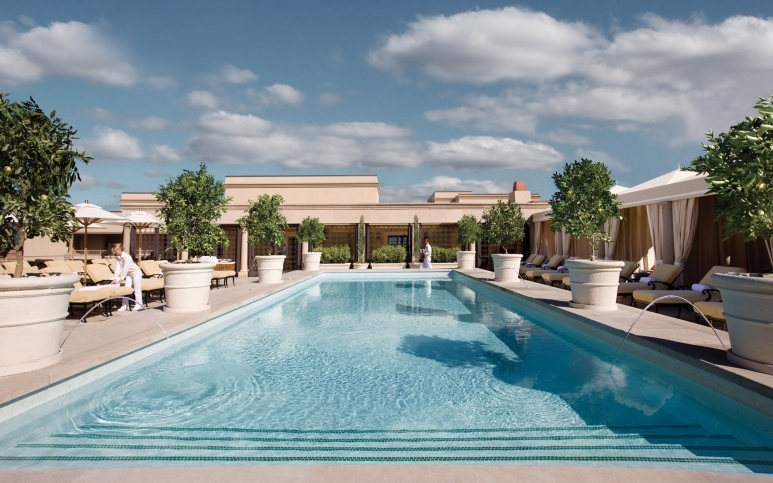 On the hotel rooftop, private poolside cabanas can be booked for up to six guests for the day. Each come with an LCD flat-screen TV, local and international newspapers, complimentary WiFi, fruit bowl and bottled water. 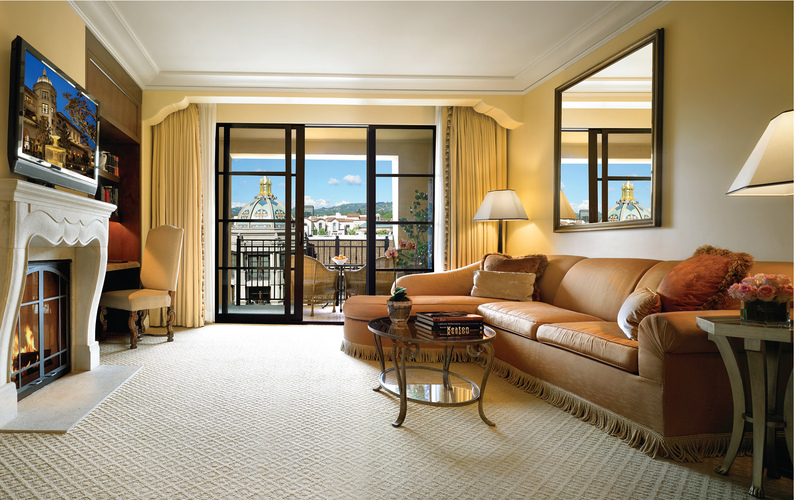 Tatler tip: For an extra special stay, opt for one of the spacious suites with separate living rooms, many of which connect to premier guest rooms to create two-bedroom residences ideal for bigger groups. Montage Beverly Hills is the only official US outpost of The Macallan Single Malt Whisky at £10, an intimate bar on the second floor with the finest spirits, whisky and handcrafted cocktails. 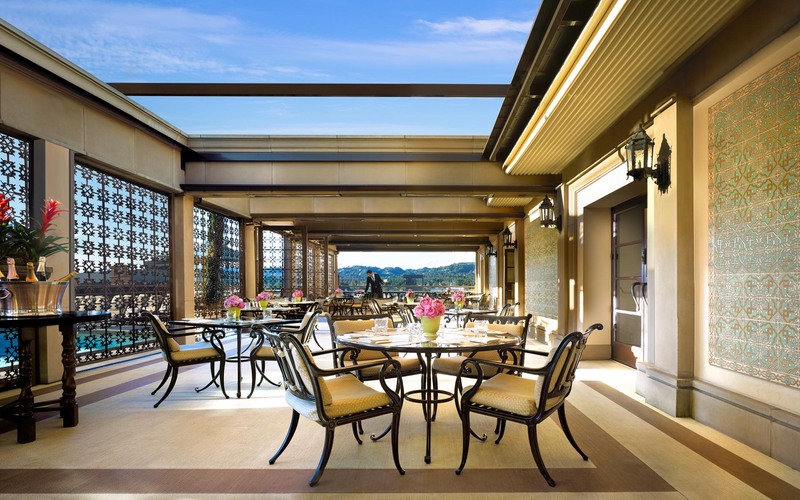 The Rooftop Grill is highly recommended for poolside eats and casual meals, where the seasonal menu of Californian cuisine is paired with panoramic views of the Hollywood Hills. 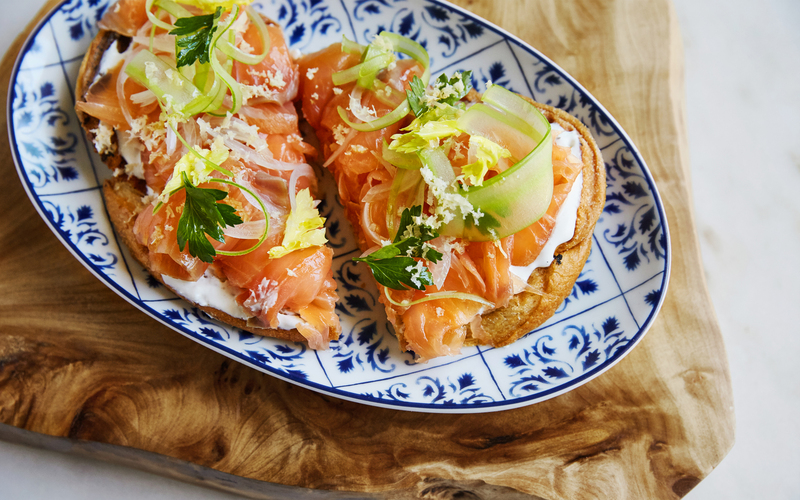 At Georgie, acclaimed chef Geoffrey Zakarian has created a menu of Modern American cuisine, while The Garden Bar is perfect for happy hour cocktails paired with live music that goes till late. Tatler tip: Don't miss the cilantro-lime guacamole with tortilla chips and Angus prime burger at The Rooftop Grill. 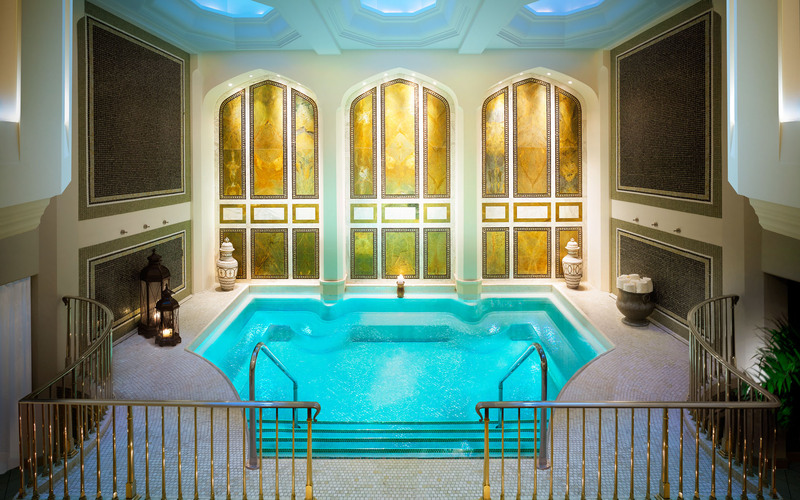 The Montage Spa is the only West Coast destination of premier skincare brand L.Raphael Geneve. With 17 private treatment rooms, all hotel and spa guests get to enjoy the co-ed mineral wellness pool infused with over 60 natural minerals including colloidal silver, magnesium, calcium, sulphur and iron. 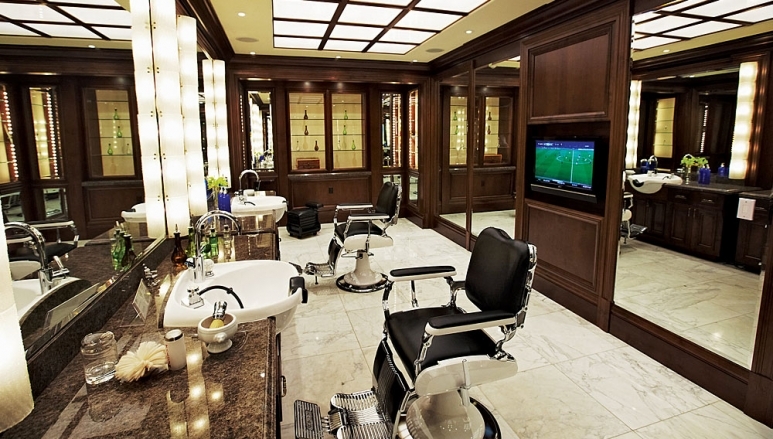 Men can get a legendary haircut at Gornik & Drucker, a Hollywood barbering legend dating back to 1936 whose regulars included Frank Sinatra, Bugsy Siegel, John F. Kennedy and even notorious gangster Mickey Cohen. Then, there's Kim Vo’s flagship salon at Montage Beverly Hills. Named the ‘best blonder in the business’ by Vogue magazine, the celebrity hair stylist’s in-house team will have you red-carpet ready in no time. Tatler tip: The 24-hour state-of-the-art fitness centre offers complimentary wellness classes at 7am every morning. We hear Usher's been spotted working out there. The red-carpet treatment at Montage Beverly Hills isn't exclusive to humans. 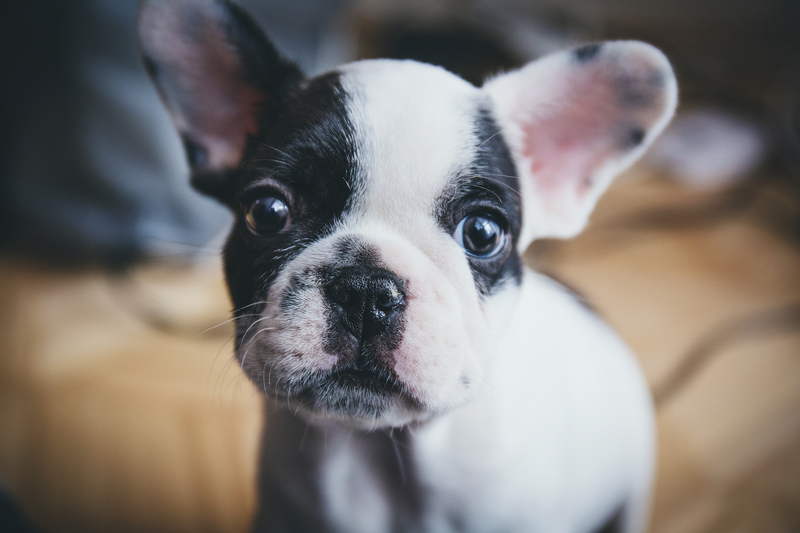 Tell the concierge about your pet pre-arrival, including its name, breed and birthday, and let the staff take care of the rest. The hotel offers pet-sitting, dog-walking, recommendations on the trendiest local spots to shop for pet accessories, as well as maps for hiking trails and dog parks in Beverly Hills and LA. Pet guests are also spoiled with their own beds, bowls and treats in the rooms, and even get their own turn-down service and in-room dining menu of gourmet dishes prepared by chefs. Tatler tip: Pawsdeluxe near the hotel offers '50 shades of bling' in the form of collars, outfits and bedding for your pet. This article was originally published by Hong Kong Tatler.